Agra ( Agra) is a city on the banks of the river Yamuna in the northern state of Uttar Pradesh, India. It is 378 kilometres (235 mi) west of the state capital, Lucknow, 206 kilometres (128 mi) south of the national capital New Delhi and 125 kilometres (78 mi) north of Gwalior. With a population of 1,686,993 (2013 est. ), it is one of the most populous cities in Uttar Pradesh and the 19th most populous in India. Agra can also refer to the administrative district that has its headquarters in Agra city. It is a major tourist destination because of its many splendid Mughal-era buildings, most notably the Taj Mahal, Agra Fort and Fatehpur Sikri, all three of which are UNESCO World Heritage Sites. Agra is included on the Golden Triangle tourist circuit, along with Delhi and Jaipur. The city was first mentioned in the epic Mahabharata, where it was called Agrevana (derived from Sanskrit (???????) meaning "the border of the forest"). Legend ascribes the founding of the city to Raja Badal Singh, a Sikarwar Rajput king (c. 1475), whose fort, Badalgarh, stood on or near the site of the present fort. However, the 11th century Persian poet Masud Sad Salman writes of a desperate assault on the fortress of Agra, then held by the Shahi King Jayapala, by Sultan Mahmud of Ghazni. It was mentioned for the first time in 1080 AD when a Ghaznavide force captured it. Sultan Sikandar Lodi (1488–1517) was the first to move his capital from Delhi to Agra in 1506. He governed the country from here and Agra assumed the importance of the second capital. He died in 1517 and his son, Ibrahim Lodi, remained in power there for nine more years and several palaces, wells and a mosque were built by him in the fort during his period. Finally being defeated at the Battle of Panipat in 1526. Between 1540 and 1556, Afghans, beginning with Sher Shah Suri ruled the area. It achieved fame as the capital of the Mughal Empire from 1556 to 1658. Though Agras history is largely recognised with Mughal Empire, the place was established much before it and has linkages since Mahabharat period and Mahirshi Angira in 1000 BC. It is generally accepted that Sultan Sikandar Lodi, the Ruler of the Delhi Sultanate founded Agra in the year 1504. After the Sultans death the city passed on to his son Sultan Ibrahim Lodi. He ruled his Sultanate from Agra until he fell fighting to Babar in the First battle of Panipat fought in 1526. The golden age of the city began with the Mughals. It was known then as Akbarabad and remained the capital of the Mughal Empire under the Emperors Akbar, Jahangir and Shah Jahan. Shah Jahan later shifted his capital to Shahjahanabad in the year 1689. Since Akbarabad was one of the most important cities in India under the Mughals, it witnessed a lot of building activity. Babar, the founder of the Mughal dynasty, laid out the first formal Persian garden on the banks of river Yamuna. The garden is called the Aram Bagh or the Garden of Relaxation. His grandson Akbar raised the towering ramparts of the Great Red Fort, besides making Agra a center for learning, arts, commerce and religion. 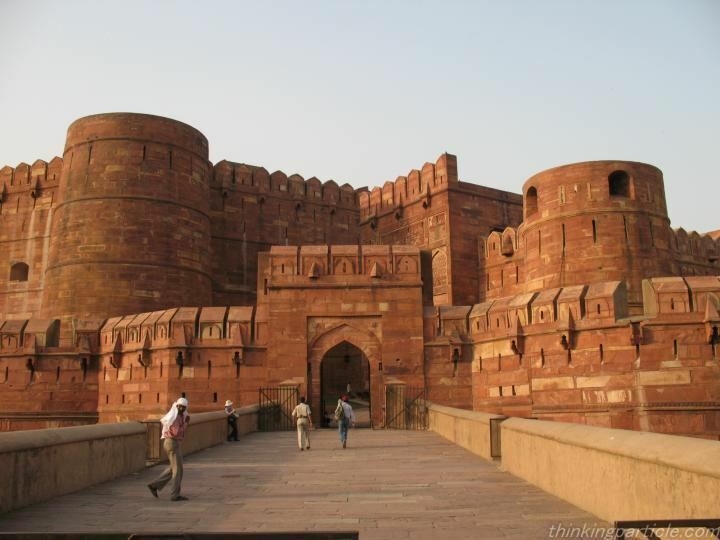 Akbar also built a new city on the outskirts of Akbarabad called Fatehpur Sikri. This city was built in the form of a Mughal military camp in stone. His son Jahangir had a love of gardens and flora and fauna and laid many gardens inside the Red Fort or Lal Qila. Shah Jahan, known for his keen interest in architecture, gave Akbarabad its most prized monument, the Taj Mahal. Built in loving memory of his wife Mumtaz Mahal, the mausoleum was completed in 1653. Shah Jahan later shifted the capital to Delhi during his reign, but his son Aurangzeb moved the capital back to Akbarabad, usurping his father and imprisoning him in the Fort there. Akbarabad remained the capital of India during the rule of Aurangzeb until he shifted it to Aurangabad in the Deccan in 1653. After the decline of the Mughal Empire, the city came under the influence of Marathas and was called Agra, before falling into the hands of the British Raj in 1803. 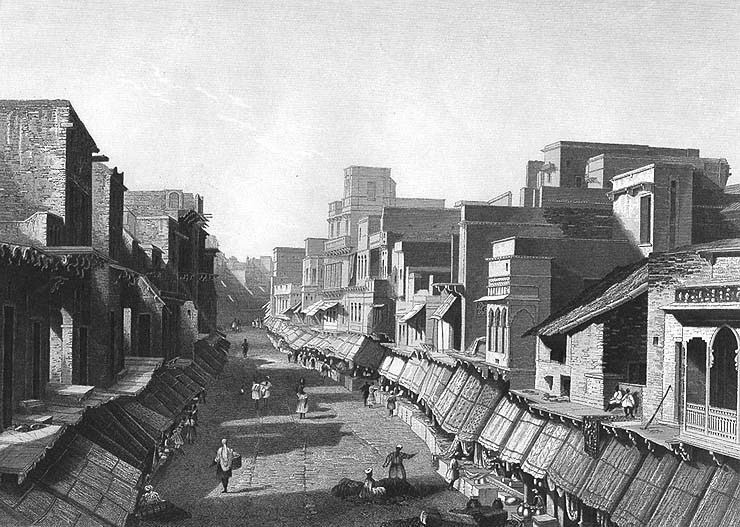 In 1835 when the Presidency of Agra was established by the British, the city became the seat of government, and just two years later it was witness to the Agra famine of 1837–38. During the Indian rebellion of 1857 British rule across India was threatened, news of the rebellion had reached Agra on 11 May and on 30 May two companies of native infantry, the 44th and 67th regiments, rebelled and marched to Delhi. The next morning native Indian troops in Agra were forced to disarm, on 15 June Gwalior (which lies south of Agra) rebelled. By 3 July the British were forced to withdraw into the fort. Two days later a small British force at Sucheta were defeated and forced to withdraw, this led to a mob sacking the city. However, the rebels moved onto Delhi which allowed the British to restore order by 8 July. Delhi fell to the British in September, the following month rebels who had fled Delhi along with rebels from Central India marched on Agra but were defeated. After this British rule was again secured over the city until the independence of India in 1947. Agra is the birthplace of the religion known as Din-i Ilahi, which flourished during the reign of Akbar and also of the Radhaswami Faith, which has around two million followers worldwide. Agra has historic linkages with Shauripur of Jainism and Runukta of Hinduism, of 1000 BC. Taj Mahal, Agra Fort and Fatehpur Sikri are all UNESCO World Heritage Sites. The Taj Mahal is one of the most famous buildings in the world, the mausoleum of Shah Jahans favourite wife, Mumtaz Mahal. It is one of the New Seven Wonders of the world, and one of the three World Heritage Sites in Agra. Completed in 1653, the Taj Mahal was built by the Mughal king Shah Jahan as the final resting place for his beloved wife, Mumtaz Mahal. Finished in marble, it is perhaps Indias most beautiful monument. This perfectly symmetrical monument took 22 years (1630–1652) of labour and 20,000 workers, masons and jewellers to build and is set amidst landscaped gardens. Built by the Persian architect, Ustad Isa, the Taj Mahal is on the south bank of the Yamuna River. It can be observed from Agra Fort from where Emperor Shah Jahan gazed at it for the last eight years of his life, a prisoner of his son Aurangzeb. It is an acknowledged masterpiece of symmetry. Verses of the Quran are inscribed on it and at the top of the gate are twenty-two small domes, signifying the number of years the monument took to build. The Taj Mahal was built on a marble platform that stands above a sandstone one. The most elegant dome of the Taj Mahal has a diameter of 60 feet (18 m), and rises to a height of 80 feet (24 m); directly under this dome is the tomb of Mumtaz Mahal. Shah Jahans tomb was erected next to hers by his son Aurangzeb. The interiors are decorated with fine inlay work, incorporating semi-precious stones. Taj Literature Festival saw stars of the literary world manifest themselves on the earth of Agra. The galaxy included the stalwarts, Muzaffar Ali, Shobha De, Prahlad Kakker and Raghu Rai. The stage shone brilliant and the heritage city breathed life . This festival, an attempt to rejuvenate that aesthetic spirit which is a soul of this historically rich city, Agra. The city that nurtured the likes of Ghalib, Tansen, Surdas, Nazeer and many more.